I am proud to announce the opening of my web shop for maritime stuff. 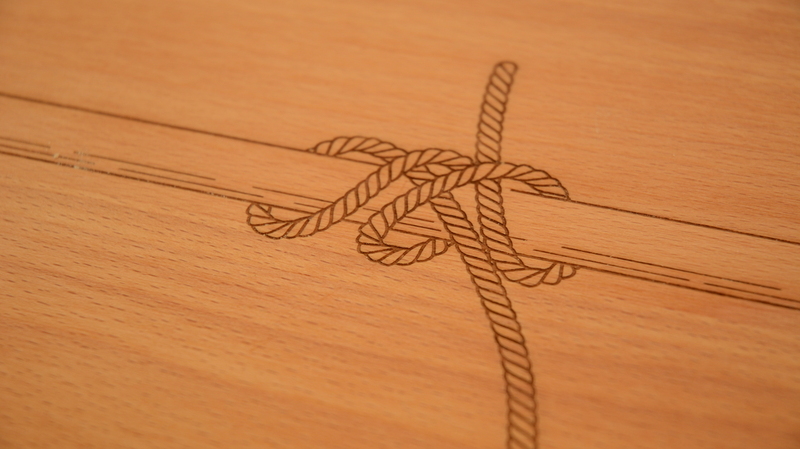 Currently, a collection of engraved wooden cutting boards is available. Cutting boards are a nice, personal and very useful gift for a passionate sailor or a unique upgrade of your own yacht's galley. . The Austrian empire under the Habsburgs has had a navy and commercial fleet. It also conducted several scientific expeditions beyond their Mediterranean shore. 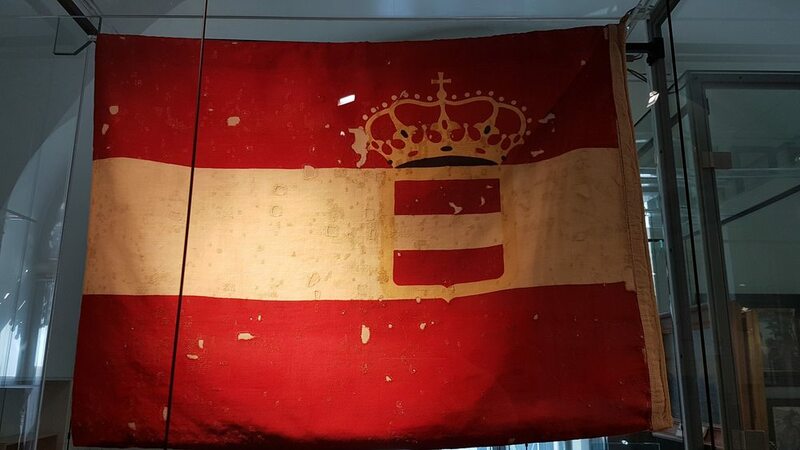 Driven by an interest in the scientific maritime expeditions Austria has undertaken I found several locations in Vienna where Austrian maritime history is exhibited. . The moment when the engine stops, the yacht heels and silently starts plowing through waves has ever been a magic moment for me. The fact that a ship can be moved by the sole power of wind still fascinates me from a technical point of view. And I must admit, I often argue for my hobby by pointing out that sailing is an environmentally friendly activity. . It is still dark when I start the engine of my car and head for crossing of lake number 3 – Lake Atter (Attersee). 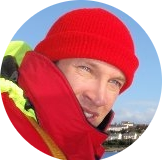 Weather reports have told me that I must expect a base wind of 4-6kn from south and gusts up to 10kn. From my research with Google Maps and some phone calls to local harbors I found that a public slipway exists in Unterach (southernmost town) and a private one in Schörfling (northernmost town). When I arrive at Unterach, I am pretty alone at that time of the day. I buy a coffee at the Strandcafe and then I start preparing my Weta. Meanwhile some motorboaties have arrived at the slipway and start watering their boats. .
At 6 am I get up to slip the boat into water. I have to paddle to get out of the little harbor. I am completely alone in the harbor except a beautiful white heron who keeps watch on the breakwater. I have to paddle towards the open water of Lake Balaton to catch the easterly morning breeze. My first way point is Tihany peninsula which separates the northern part from the southern part of the lake. A light wind blows at about 5 knots but I experience rather high waves. As I approach Tihany peninsula I enjoy my breakfast and the beautiful scenery of the peninsula with the monastery on top of a hill and the little ferry harbor. I keep an eye on the frequent ferries crossing my way as I pass by the peninsula at 9am. Meanwhile also other sail boats pop up on the lake. .
Next step in my Seven Lakes Crossing project – Lake Balaton in Hungary. The largest (concerning km²) lake in Central Europe. Planning required much more time than for Lake Neusiedl but it is extremely exiting to delve into the facts around lake Balaton. .
Start of my Seven Lakes Crossing project. I decided to start with my home lake Neusiedler See. I spent a weekend full of route planning and made some phone calls to local harbors and sailing schools regarding slipways to take my Weta Trimaran in and out of the water. Due to weather and slipway availability I decided to start the crossing in Neusiedl’s Eastern Port and finish in Mörbisch. I did want to go to the Hungarian part of Lake Neusiedl, but the southernmost part is inaccessible as it is a protected area of a National Park. It is theoretically possible to access Fertörakos, a Hungarian harbor south of Mörbisch, but I could not find out how depth conditions are between Mörbisch and Fertörakos. So I opted for Mörbisch as destination which I know quite well. . Final check of boat. We have breakfast and pack our stuff and leave boat around 10am. Before leaving for home we clean up the outer side of the breakwater from plastic debris. We collect around six mid size bags of plastic but are from finished. While we clean the breakwater base staff do not care as their own coffee cups get blown away by wind. I beg the base manager to be more careful and to advise his stuff. He says that he is aware of the problem but his people do not care. At around midday we leave Murter towards Austria. A heavy thunderstorm is approaching and as we leave heavy rain sets in and lasts for about 2 hours. .
Wind again light in the morning, dying away around midday. In the morning we explore two artificial caves at the western head of Tratinska bay. The caves have probably erected as part of a fortification. When we enter the caves several bats suddenly flap around our heads. Caves are split into several tunnels after entrance but do not lead too far into the rocks, only 5-10 meters. We leave towards Jezera Marina around 3 pm and arrive at around 6pm at Jezera port. We set sails for a sudden short easterly breeze. Needed to fill up Diesel but only 12 liters. Base manager checks boat. Dinner again at Konoba Leut. .
Wind decreasing at around midday. We leave Piskera under engine towards Zirje – our last station. We arrive there at around 6pm. No sailing today as wind is too weak. We moor our boat on a buoy in Tratinska bay. Friendly guy charges 200 Kuna for buoy. He speaks German and tells us stories. Brilliant night sky. .